This week Cory travels to Monroeville Pennsylvania to take part in the ALL horror edition of the Steel City Con. In doing so he, and Slaughter Film's resident physician, Dr. Bork, chew the fat of one of the 80s most memorable monster/alien horror franchises. Even Forest surprises the guys, when he unexpectedly shows up and weighs in on Critters and Critters 2. 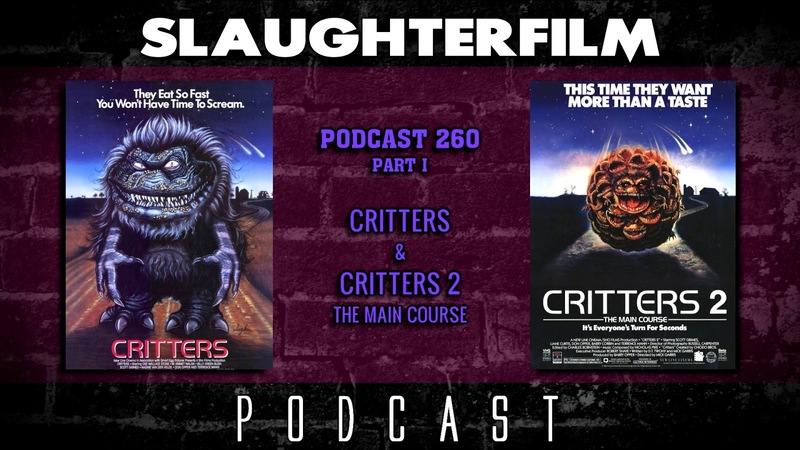 The gang chat about how Critters, and other similar films of the period - Gremlins, Ghoulies, Hobgoblins and even Tremors - painted the basic cable and movie rental landscape, leaving an indelible mark on a generation. For more Slaughter Film news and reviews, as well as show notes and special events, make sure to visit our website; SlaughterFilm.com.